What’s to like about winter? A low-slung sun. A bluer sky than blue. The last golden leaves to cling. Grass that crunches under foot. Children’s boots and mittens. Hot cocoa. The glow of candles near your bath. Longer hugs. And soup. This is winter’s version of pistou, a Provençal vegetable soup, and I believe it is very possibly the finest winter soup I’ve ever made. It is, in fact, so fine a soup I’m going to be adapting it to different kitchens and circumstances. (Slow-cooker and pressure cooker versions will follow before winter’s done with us.) It’s gob-full of vegetables, heavenly hearty, and will warm you to your chilly toes. This makes an enormous potful. We took half out to our mom and the half we have remaining is enough to feed a table full. There’s quite a bit of chopping involved, but sharpen your knife and trust me…it will be so worth your time. NOTE: If using fresh beans, 1 pound of each in their shells. 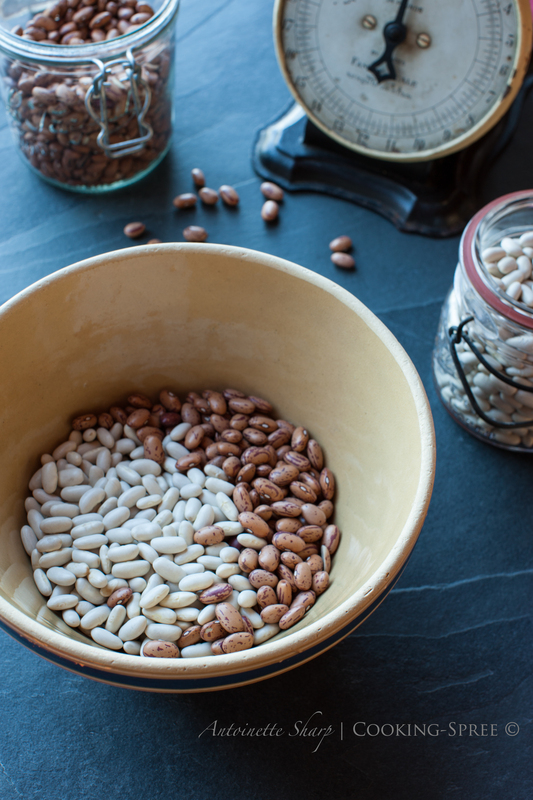 If using dried beans, 8 ounces (250 g) of each – pick them over, making sure you have no little pebbles, rinse the beans, place in a large bowl & cover with boiling water; allow to soak for 1 to 2 hours. Please note the different instructions – step 2 below – based on whether fresh or dried beans are used. * – a bag of frozen chopped kale & spinach works great for this. Add as you’re ready to serve – each time you heat up a new potful of soup, add a handful or 2 of this mixture and you’ll have bright green in each bowl. 1. In a large, heavy-bottomed stockpot, combine the oil, onions, leeks, bouquet garni and salt to taste, then stir to coat. 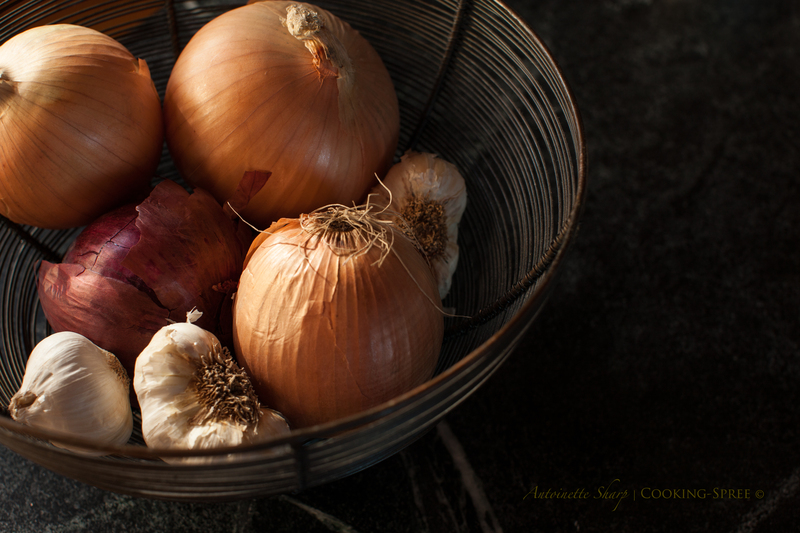 On low heat, sweat the onions & garlic mixture – cooking with the lid on for several minutes until what’s in the pot is softened and fragrant. Drop in the carrots, celery, squash, potatoes, farro (or spelt or barley), the tomatoes with their juice, along with the tomato paste. Add four quarts (4 liters) cold water. If you are using DRIED BEANS – add only 3 quarts cold water at this time. Cover the stock pot and bring to a simmer. Gently simmer for 30 minutes. Taste for salt & add as needed. 2. I didn’t use fresh beans, but if you have them, add at this time and continue to simmer until the beans are tender. Perhaps 30 minutes more. If, on the other hand, you’re using dried beans, I suggest you cook them separate from the other ingredients and add to the big pot when the beans are just tender. Several reasons for doing it this way, but the main one is this: It’s difficult to judge the age of dried beans – and the longer they’ve been on the shelf, the longer they will take to cook. If you’re cooking them along with all the vegetables, those will be overcooked by the time the aged beans are ready. Add one quart of the bean-cooking liquid into the soup pot along with the beans. This will add depth of flavor and a heartiness this soup loves. (To cook the beans, place in good size pot, cover with water, add a pinch or salt and simmer until tender. Add the finished beans to the pot with 1 qt. of their liquid.) Again, taste for salt & add as needed. 3. 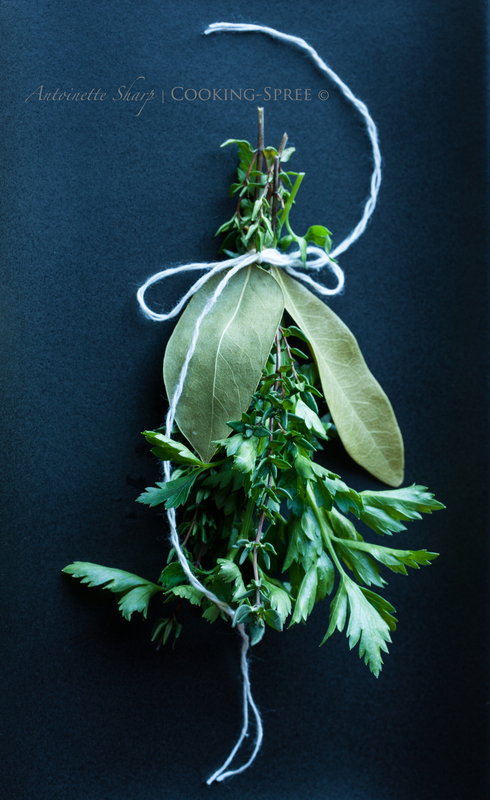 Remove the bouquet garni and bring the pot to a boil. To thicken the soup, cook at a hearty boil for 5 minutes. Taste for salt one final time. You can add the chopped spinach & kale now, or do what we do which is portion out the amount of soup we’ll be having for the meal and add the greens only to this amount. A golden soup like this is prettier for the fresh green. Ladle into warm bowls & garnish with freshly-grated cheeses. For a simplified, printer-friendly version, click here. ← what? another take on hummus? Thanks for sharing ! Love your blog – both the recipes and the photos. Looks delicious ! So very nice of you Michal! Thank you. Don’t worry about it (-: I’m used to it. That is a truly fine looking winter vegetable soup you have here, Spree! I think this shall have to be my next pot of soup, in fact. I love the particular variety of vegetables and legumes you used and the topping of the grated hard cheeses is perfect. Happy Thanksgiving to you and yours! Betsy, a very Happy Thanksgiving to you and yours too!! I’ve frozen it but not yet thawed it! I’ll get back to you in a few days! But I can’t imagine a reason it wouldn’t freeze (and then thaw and reheat) very well! : ) I wouldn’t try to rush the process though – for the best results I’d haw in the fridge if possible. Still, I’ll get back to you…. I love how rustic that soup looks! Oh yummy delish my kind of potage madame Spree, I have saved it to my iphone so when I am shopping in the Burgundy supermarches very soon I will have the list to hand! Is it snowing with you yet? I’ve know for some time, you and I would be very happy eating at the same table Lesley! (and oh would I love to be shopping the marches of Burgundy!) no snow here yet…just brilliant and beautiful chill weather! We’ve been awfully lucky! When you off to Burgundy? Indeed we would and will do one day – I know! Leaving On the 8th Dec – a long trip this one will email you when I get there. One month in Loire tho first then onto Burgundy., it will be colder than here !!! Beautiful organic photos of your lovely soup. I love “soup weather”. Thanks for sharing this great recipe. Thank you Teresa. I think my appetite must crave each of the seasons…I’m so glad when each rolls around. Winter is definitely when soup is very welcomed in our house. The soup is not only delicious sounding but I love the warming color as well. Thank you Karen…I picture you with snow on the ground, smoke out your chimney and steaming soup in your bowls. It’s getting to be that time for you. Happy Thanksgiving Karen! I hope you have a lovely Thanksgiving as well. Gorgeous photos! I adore Parmigiano-Reggiano cheese, usually this goes on bread rather than in the soup, though I might try this next time. There’s no question as to whether I will try this soup; You Bet I will!!! And you will like it sooo much Ronnie! : ) Have a wonderful holiday! Hearty. Heavenly. Hungry! May your season be filled with warmth and joy of every kind, my lovely!! Such a beautiful soup. It’s (almost) enough to make me welcome winter! Yes, you’re right Michele, it’s almost enough! 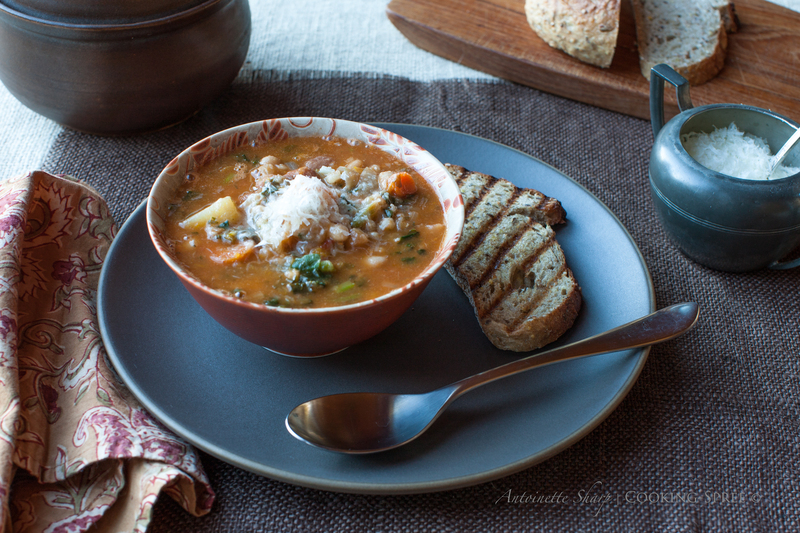 : ) Thank goodness there’s more than just a bowl of delicious soup to speak for the season! Here I am looking for inspiration for dinner and I find your lovely soup. I actually have all the ingredients! I just might make this today. Exactly my kind of soup. I can taste it just from the recipe and from looking at the pictures, which–as always–are aesthetically pleasing while effectively conveying to your audience the essence of the dish you are presenting. Brava! Aw, thanks for your kind words Joe! It’s getting SO cold here – I can’t make myself cycle – this is what I need… looks delicious! This’ll warm your bones Nick! It’s been chilly here too, but we’re lucky for a time – it’s been beautifully so! This looks absolutely delicious! Perfect combination of hearty beans and veggies and cheese – yum! Thanks so much Roger. It feels awfully good to Be back, even tho it is very part time right now. 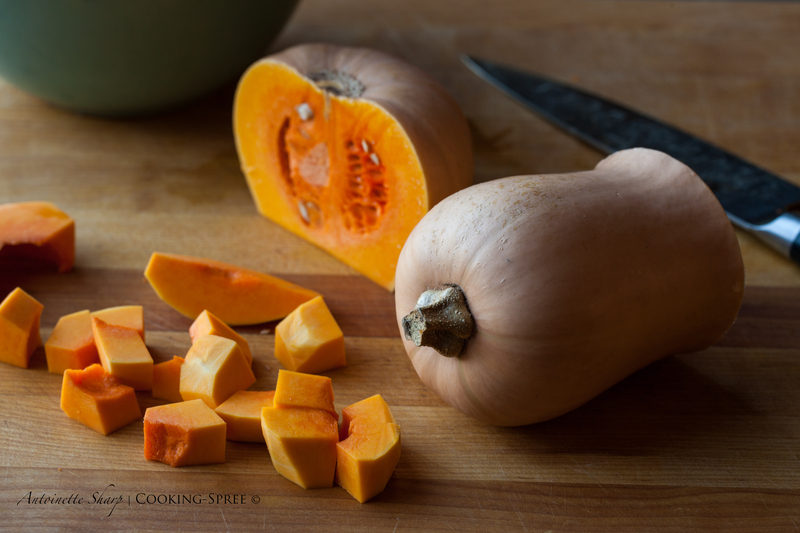 Those with pumpkin patches are always looking for good recipes in which to use those pumpkins! Sounds and looks delicious (and nutritious)! a man with his own pumpkin patch! imagine! 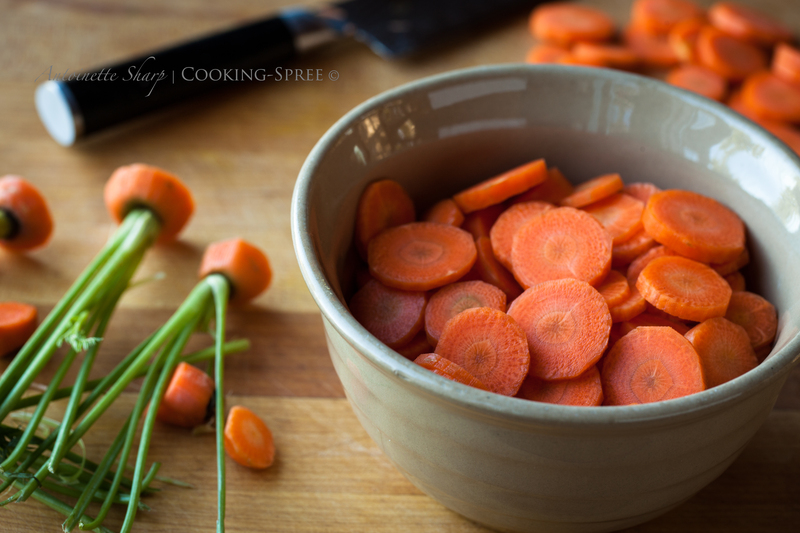 This is SO my kind of soup and I find chopping veggies very restful – is that odd?! I feel Exactly the same way Tanya…it’s like one of the most soothing things in a normal day…a good sharp knife and a bunch of veggies and I’m a very contented woman. I’d like to go on the waiting list for multiple copies of your calendar when it is published next year. I’m thinking Christmas presents to be sent all over the world. There’s so much to like about this soup, Spree. The mix of vegetables, 2 types of beans, the herbs, and finishing it with the greens together make this soup a great way to fight a wintry chill. This is a great post, well photographed and you included some helpful tips, too. In particular, the one concerning cooking the beans separately is a real soup-saver. Until I discovered that trick, I ate many a bowl of soup with great tasting beans but everything else was just about mush. I hope you and your family have a great Thanksgiving. We’re ready for a second batch already John…that’s how wintry chill it’s getting to be here. (and I know THERE!) And about the beans, right? Why didn’t our mamas tell us about that? (Or why don’t cookbook authors? Well, maybe your mama did, and maybe I’m just reading the wrong authors, but like you it took me several batches of muddled soup to figure it out.) Thanks very much for the kind wishes John. It was wild and crazy and fun and delicious…for days before and days after. I so hope it was for you too! For sure the “delicious” was! I’m so grateful to hear that Movita! Sounds so good and looks just perfect. Nothing like soup this time of year. Your creativity is a joy, as always. 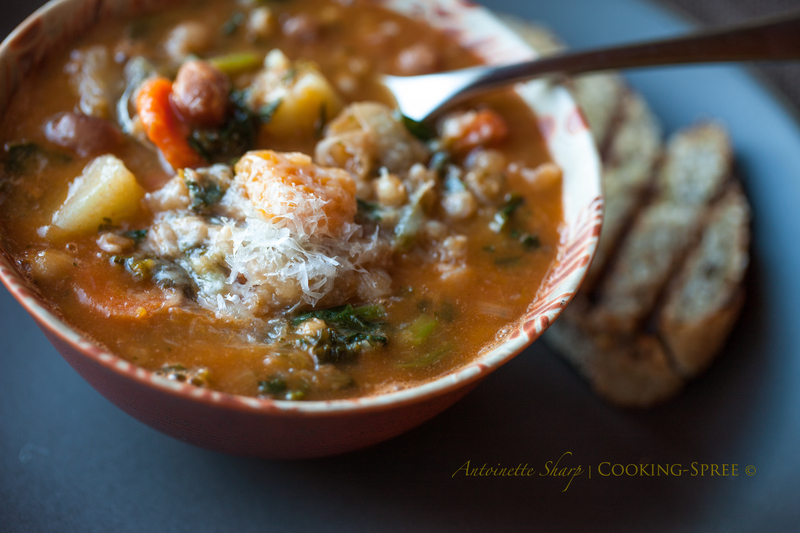 What a delicious soup with the butternut and farro…it sounds terrific. Looks very hearty and tasty. Perfect for the winter. Can’t wait to try this recipe! Aahh, and to warm the cockles of your heart! Soup, my favourite food, especially vegetable soup of any kind, from any culture. Your clear, crisp and colourful photos just adds to the enjoyment. Oh thank you so much! I missed your comment, so please excuse me for replying so late! That just looks like the perfect bowl of goodness that it is. I make a similar one to this but hadn’t thought of adding the squash, which is a bit slow of me considering I have so many around the house 🙂 And the depth of colour you have got there too is so tempting. Oh, and I just love your description of “juicy / moist” garlic cloves – so true!! This not only looks great but also includes several items that show up in my CSA box: Your blog looks like a great resource for using some of the stuff I have no idea what to do with! Thanks for posting! Thanks for your comments Jackie! Two years ago we loved our CSA. Then last summer we decided to grow our own fantastic vegetable garden. This year it’s back to our CSA! It looks delicious and has lots of vitamins, thanks for sharing with us. It’s been so very long since we’ve had a Spree…..! !